Chiropractic adjustment offers a drug-free, non-invasive means of improving physical problems that cause nerve dysfunction. The human spine contains the spinal cord, which branches out into the entire network of nerves that relay sensations and instructions throughout your body. Whenever an injury, illness, or spinal misalignment pinches down on those nerves, they stop communicating with the body normally. The results can include everything from neck and back pain to numbness, tingling, hormonal imbalances, low immune response and other serious issues. 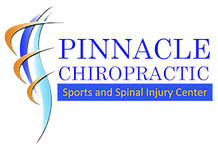 Chiropractic adjustment gently helps restores the spine to its correct alignment, helps remove pressure from nerves and helps bring your whole body back "online." Results may vary per person.